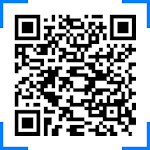 QR/Barcode Scanner is one of the best apps in the Google play market and is essential for every android device. To scan any code simply open the application and align the code. 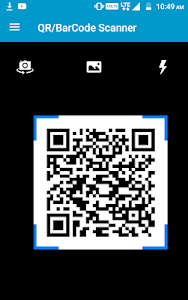 QR Code & Barcode Scanner will automatically recognize any QR Code or Barcode. 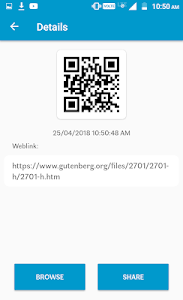 When scanning the code, if it’s contain text you will instantly see it or if it’s a URL you can browse the site by pressing the browse button. 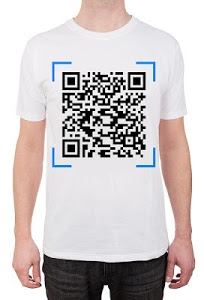 ✔️ Scan all types of QR Code and Barcode. ✔️ Flashlight supported for low-light environments. 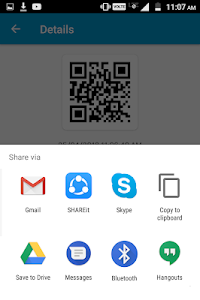 ✔️ History auto saved for all generated or scanned QR Code and Barcode. ✔️ Simple and easy to use. It can read all types including text, url, product, contact, ISBN, calendar, email, location, Wi-Fi and many other formats. We are constantly working hard on making this better with more advanced and exciting features. We need your constant support to get going. Please feel free to send us your queries/suggestions/feedback on [email protected] We would love to hear from you.